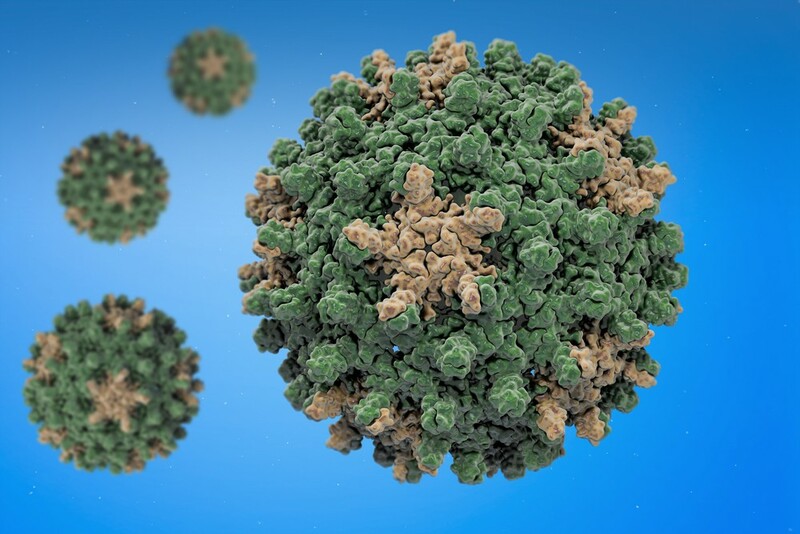 Understanding the molecular origins of infectious diseases such as hepatitis B can provide valuable insight as to how viral pathogens spread through human populations and the mutations that lead to increased virulence. 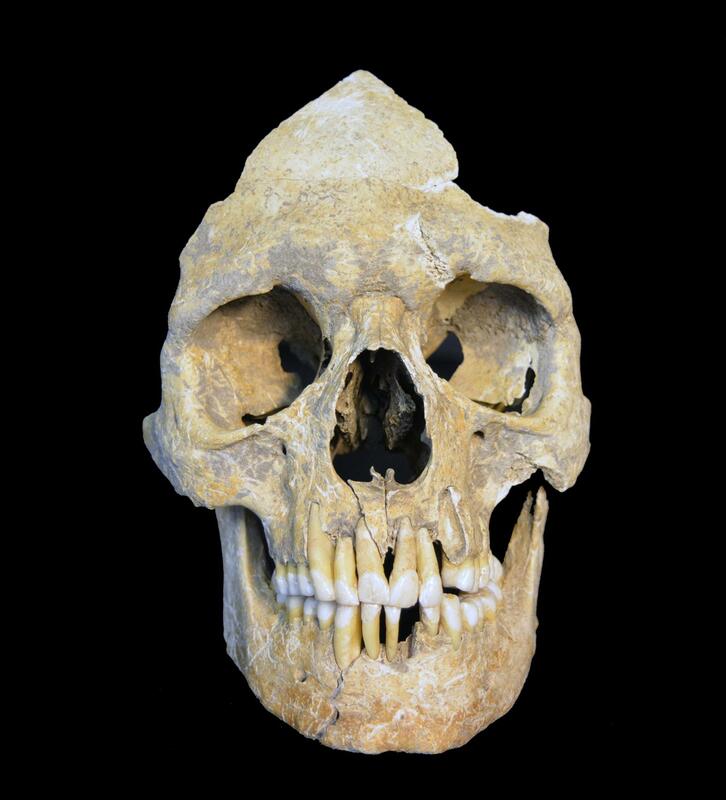 Now, an international team of scientists led by investigators at the Max Planck Institute for the Science of Human History and the University of Kiel has been able to successfully reconstruct the genomes of hepatitis B isolated from Stone Age and Medieval skeletal remains. Findings from the new study—published recently in eLife, in an article entitled “Neolithic and Medieval Virus Genomes Reveal Complex Evolution of Hepatitis B”—indicates that hepatitis B was circulating in Europe at least 7000 years ago. The hepatitis B virus (HBV) is one of the most widespread human pathogens known today, affecting over 250 million people worldwide. However, its origin and evolutionary history have been unclear. Studying the evolution and history of the virus has to date been especially difficult because until now viral DNA had not been successfully recovered from prehistoric samples. The researchers in the current study not only recovered ancient viral DNA from skeletons but also reconstructed the genomes of three strains of HBV. While the ancient virus is similar to its modern counterparts, the strains represent a distinct lineage that has likely gone extinct and is most closely related to chimpanzee and gorilla viruses. The researchers analyzed samples from the teeth of 53 skeletons dated from around 5000 BC to 1200 AD. The researchers screened all samples for viral pathogens and detected ancient HBV in three of the individuals. 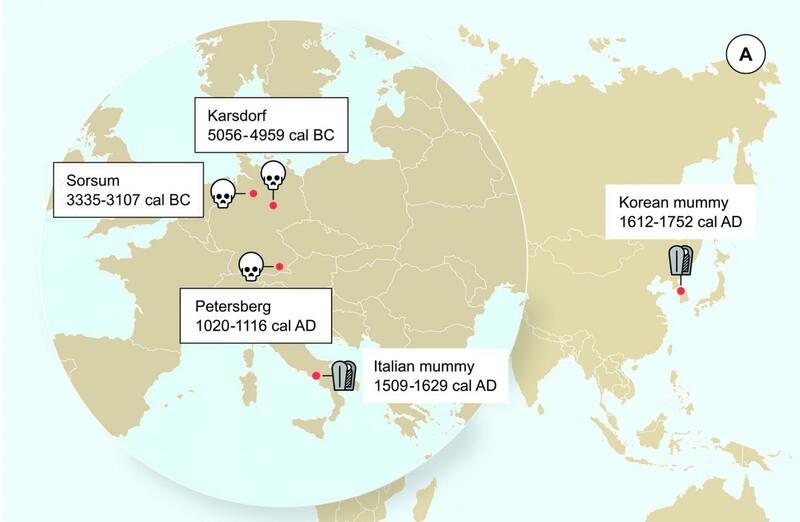 Full HBV genomes were recovered from these samples, two of which were from the Neolithic period, dating to about 7000 and 5000 years ago, and one from the medieval period. The Neolithic genomes represent the by far oldest virus genomes reconstructed to date. Interestingly, the two Neolithic genomes, although recovered from individuals that lived 2000 years apart, were relatively similar to each other in comparison with modern strains and were, in fact, more closely related to modern strains of HBV found in chimpanzees and gorillas. In contrast, the Medieval HBV genome is more similar to modern strains but still represents a separate lineage. This is the case even when it is compared to two previously published HBV genomes recovered from mummies dating to the 16th century. The HBV strains found in these mummies are closely related to modern strains, suggesting a surprising lack of change in the virus over the last 500 years. These findings point to a complicated history for the virus, which may have involved multiple cross-species transmission events.